One of our day patients was so impressed with the care and service he received at Lakelands Hospice in Corby he decided to share his story. 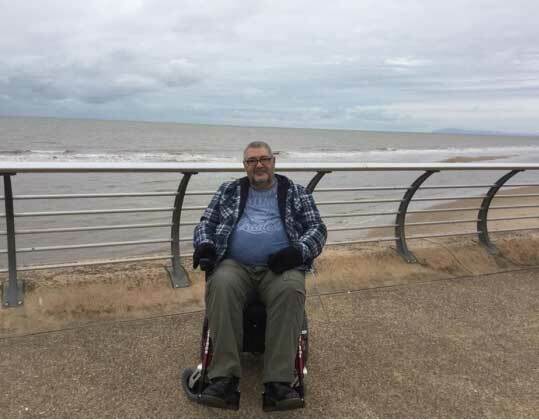 My name is Peter Preston, I was told at the Brompton Hospital in London that I had idiopathic pulmonary fibrosis IPF (which is a degenerative lung disease) in September 2014. If you have IPF, scarring affects the air sacs, limiting the amount of oxygen that gets into the blood. With less oxygen in the blood, you can get breathlessness from everyday activities like walking etc. 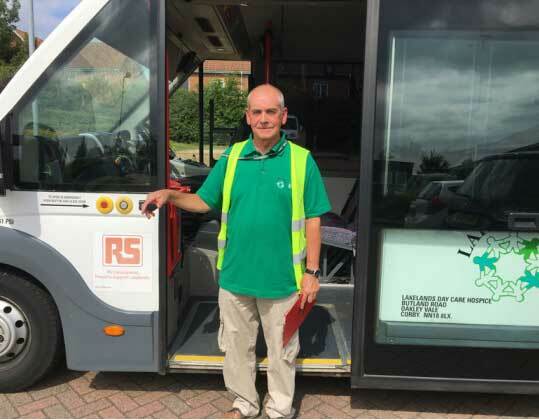 When I moved to Rushden eighteen months ago I immediately started to look for a hospice with a day time group, I was told about Lakelands and following a short phone call, arrangements were made for me to be picked up by a minibus on a Tuesday morning. I was given a warm welcome by the nurses who were very kind and caring and made me feel so welcome, after a while I was offered to attend a second day on a Thursday, each day has a different atmosphere, both offer something different for the people that attend. In August 2017 the Brompton Hospital discharged me telling me to get my palliative care in place. After a very difficult conversation with one of the nurses Lakelands seemed to spring into action and within a week I had a visit from the senior practice nurse from my GP, a district nurse and a palliative care nurse, I feel that all of the nurses bring their own talents and insight without the restraints of the NHS this is only possible with the help and support that the community gives. Without Lakelands I would just be sitting at home every day until my wife came home from work. If you or any of your friends or family feel they might benefit from any of the many services Lakelands provides, please contact our nursing team on 01536 747755. The first winter after Alex retired, he knew that he needed something to fill his time. Feeling that there are only so many books you could read, he decided volunteering at Lakelands could be a great option for him. He came to see our volunteer co-ordinator to find out what roles he would be suited to and two years later he is still volunteering at Lakelands. Alex gets involved in all aspects of volunteering; driving our mini bus to collect patients from and take them back to their homes, mini bus host (assisting patients on and off bus), gardening, collection boxes at supermarkets, manning our games stalls at our fetes (including play your cards right and splat the rat) and he has grown plants and donated them to the hospice gardens. Alex also took on the massive task of driver for our Three Peaks Challenge in 2016 and 2017. Driving for almost 26 hours in between each climb and just catching sleep when he could. Which goes above and beyond! Alex, his wife Carol (who is also a volunteer at the hospice) and some members of his family attend our Curry and Quiz events that are held 4 times a year. Alex said “I would recommend anyone with some spare time to volunteer with Lakelands, because I enjoy talking to the patients and building relationships with them as some are wonderful characters. It’s my way of giving something positive back and helping others that are less fortunate with their health and well-being”. A big thank you to Alex for all the free time he gives to Lakelands and to all our volunteers who help make Lakelands what it is! If you would like to join our team of volunteers please contact Jackie Henry on 01536 747755 for more details.